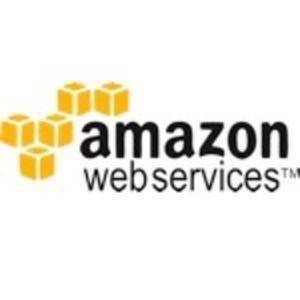 Looking to tap Amazon S3 storage for your WordPress blog? The WP2Cloud plugin lets you store all your WordPress data – not just media files – in S3. The WP2Cloud plugin was developed by OblakSoft as a solution for Yet Another Picture Sharing Site (Yapixx). Yapixx is provided as a preconfigured Amazon Machine Image (AMI) for EC2 that uses WordPress and several extensions to provide an S3-hosted picture-sharing site. But you don’t have to run Yapixx or use Amazon EC2 at all if you prefer to use hosting elsewhere. All you need is the WP2Cloud plugin and the Cloud Storage Engine for MySQL (ClouSE). Note that ClouSE is mandatory. The plugin will error out if you try to install it without ClouSE available. Naturally, you need an AWS account and an S3 bucket to put files in, too. The full instructions are on the OblakSoft site. Once it’s installed, you can decide whether to go full monty or store only a portion of your content on S3. The benefit of using WP2Cloud is that you take a load off your Web server and let S3 serve up some or all of your content. That includes full posts, if you decide to use ClouSE to put MySQL data in S3 as well. As far as I know, WP2Cloud is the only plugin that puts post data in S3 rather than media only. While Amazon is the only service that’s supported right now, the WP2Cloud documentation indicates that support for other services may be on the horizon. It would be excellent if you could tap other cloud providers or open-source cloud stacks as well. The WP2Cloud plugin might not work well for some users. For example, it requires MySQL 5.5.19 or higher, but plenty of sites have older releases of MySQL. And it might be overkill if you only want to store large media, like videos, in S3 and leave the rest on the WordPress host. 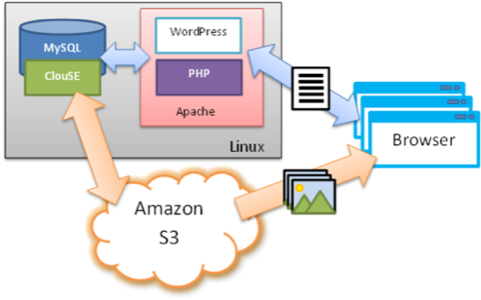 The Amazon S3 for WordPress with CloudFront plugin stores files in S3 transparently and offers the option of using CloudFront. CloudFront is a content distribution network (CDN) that can be used to distribute content more quickly and mitigate traffic spikes. If you’re looking to offload video only to S3, you can use the S3 Video Plugin. It does what it says on the tin, though you may need to tweak some PHP parameters to upload large files to S3. For sites with minimal traffic (like my personal blog), WP2Cloud is not necessary. But if you’re trying to scale WordPress for a lot of traffic, particularly bursty traffic, then you should take a look at some of the cloud storage options to see if they’ll help you reduce site load times and server load.